First light scatters along the dunes of Coopers Beach in Southampton, New York. 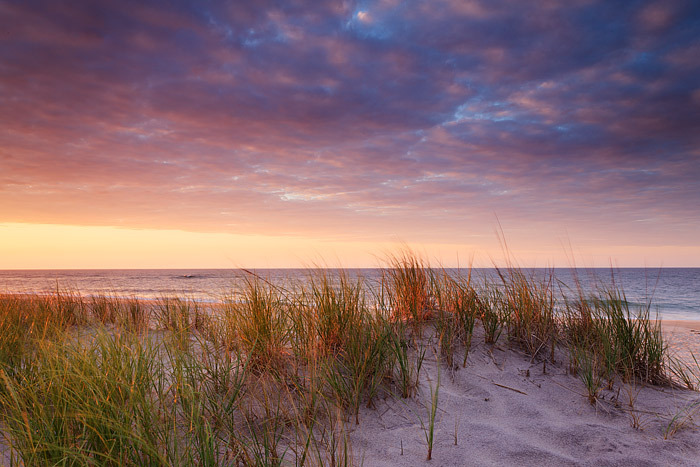 Coopers Beach is one the Hamptons most popular locations, made even more popular when recently named the best beach in the United States. These dunes which run along the south shore of Long Island act as a barrier to the mighty Atlantic Ocean only a few hundred yards away. Photo © copyright by Thomas Mangan.